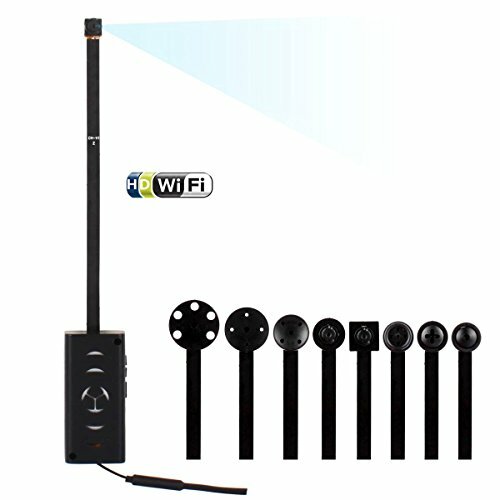 Product Feature: 1.Wi-Fi Camera: This is a network camera. There is no distance limitation for you to view or record live videos after you complete the network configuration on your phone app in the remote control mode. You can view or record live videos anywhere, anytime you want. 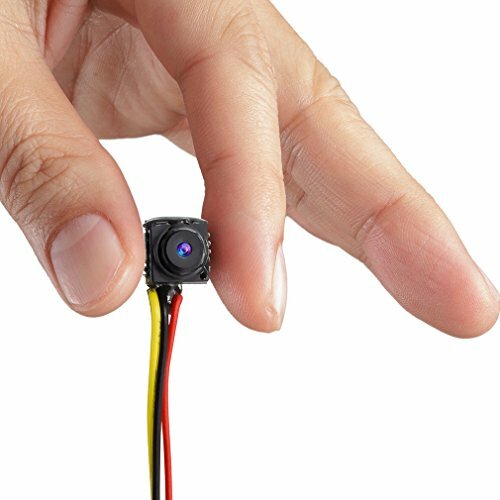 2.This mini camera is an HD 1920X1080P camera. 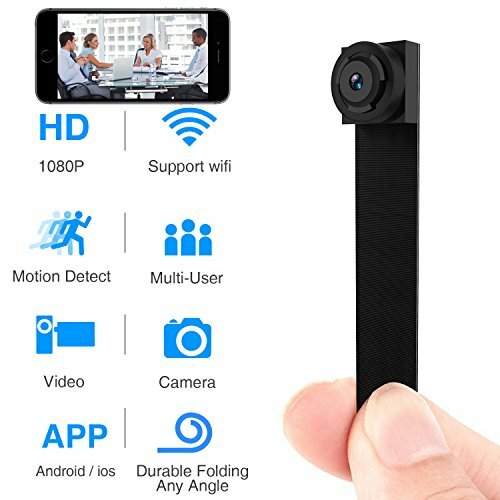 3.Motion Detect, HD Live Feed, Push Alarm Notifications, Infrared Night Vision, Take Photos & Videos, Micro SD card Local storage, Remote playback. 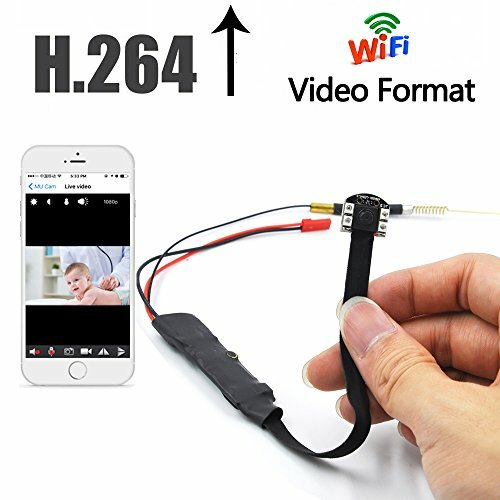 4.Use the camera as a Driving Recorder, baby monitor, nanny camera, pet monitor. 5.Super small lens and easy to hide. 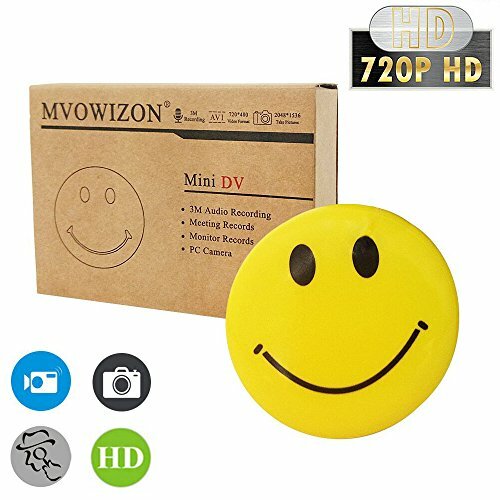 The Wearable Smile Face Badge Hidden Spy Camera Dear friend Thank you very much for your interest for our product, if you have any questions you can email us and we will solve your problem in our best. And if you want to purchase this product, don't have any scruple, We will be responsible for our products and be responsible for you, so if you like it，take it with you. Product parameter Product Size:47(D)x13(Thickness)mm Package Size:145x128x60mm Product Weight:16g Package Weight:180g Picture Size:1280*1024 Picture Format:JPG ideo Resolution: 720*480 Video Format:AVI Video Frame Rate: 25/30fps Charging time: 2 hours Charging Voltage:DC 5V Power charger: Mini USB Port Power Voltage Input:DC 3.7V 8GB Memory Built-in ,Support 16GB Micro SD Card in Max Warm tips Please make sure your camera is fully charged before using. Please make sure the Micro SD card is securely fitted into the SD card slot on your camera. Camera will not work without a Micro SD card. For more details please refer to the user guide,if you have any questions, please contact us, we will answer for you. 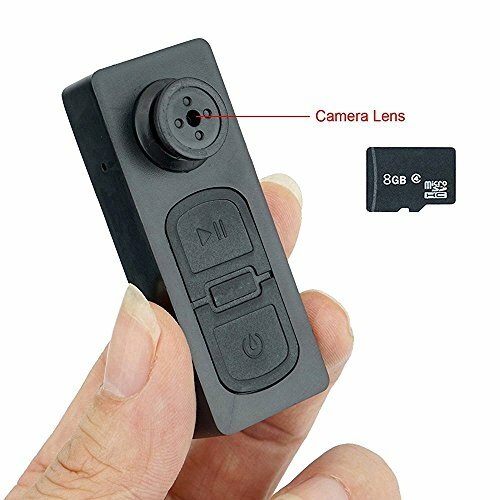 The Pocket Button Hidden Camera The clothes button spy camera supports video shooting, taking pictures, loop video shooting and motion detection. 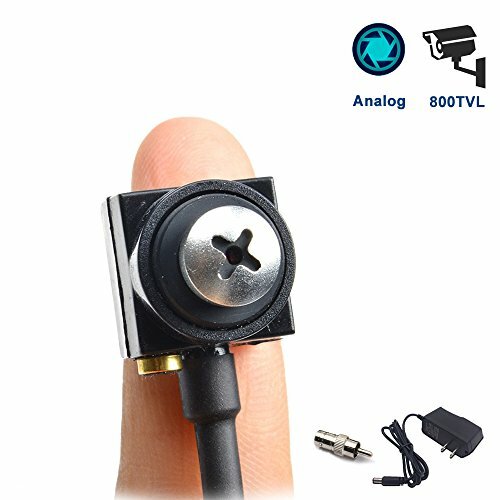 It will provide you a satisfied solution.And the tiny portable hidden camera has lightweight and portable design. 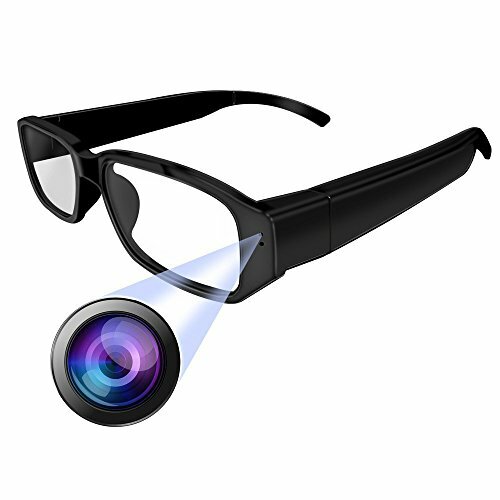 Key Features: 1.The pocket button camera supports the real-time video shooting. Video Resolution: 640*480; Video frame rate: 30ftps; Video Format: AVI. 2.Also, the video camera supports to take pictures function. You can use the tiny clothes button to make the video. Picture Format: JPG; Picture Resolution: 1280*960. 3.High Battery Capacity: The gadget has rechargeable Lithium polymer battery. 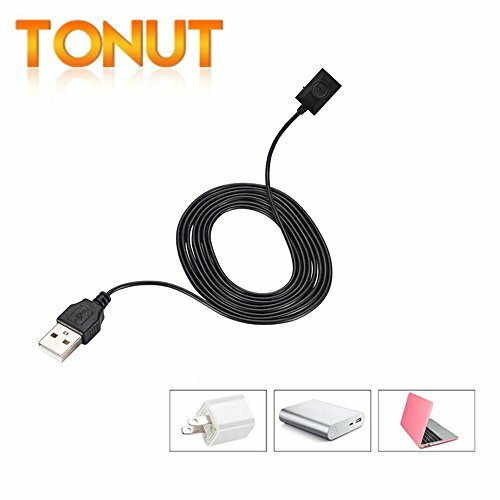 Charger Voltage: DC 5V; Battery Capacity: 200 mah; the operating time is 40 minutes while the charging time is about 2 hours . 4.Motion Detection: The camera will start to shoot the video when the motion is detected. The camera will save video files automatically every 10 minutes. If you need further help, please feel free to contact us. Go to the top of the page and add the product to your cart now! 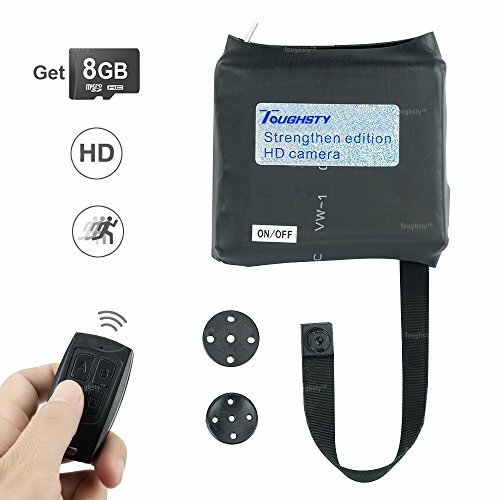 Compare prices on Spy Button Camera at ShoppinGent.com – use promo codes and coupons for best offers and deals. Start smart buying with ShoppinGent.com right now and choose your golden price on every purchase.